Late 2005 B6 and all B7-S4s (Manual or Automatic Transmission, Fits both). Audi doesn't have a specific VIN split, so you must make sure your alternator says Hitachi on it. The newer Hitachi alternators say Hitachi on it and they look like the picture on this product page. 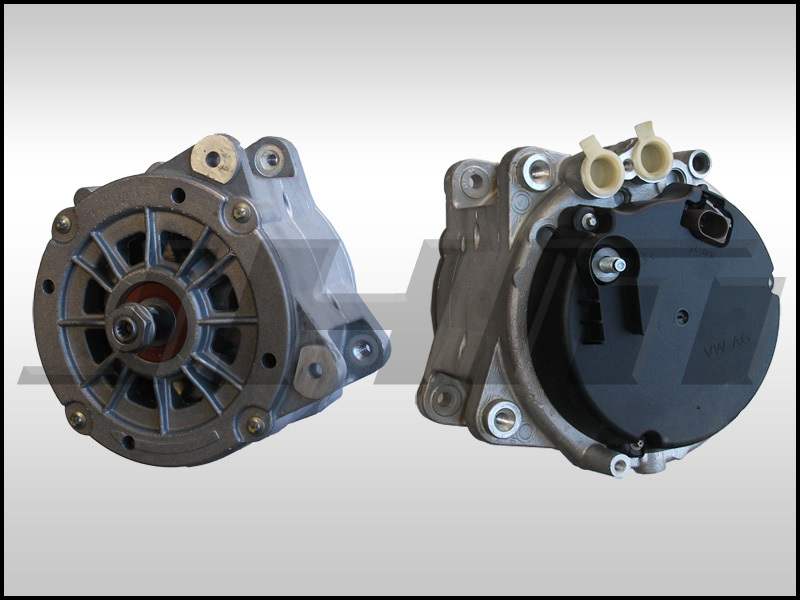 Click -->HERE to see what a Delphi alternator looks like for comparison. CORE: There is a required core charge to be paid unless you send your alternator to us in advance. NOTE: The new version of the alternators do NOT come with the Alternator Pulley. In most scenarios your OEM pulley will fit right onto the new alternator. 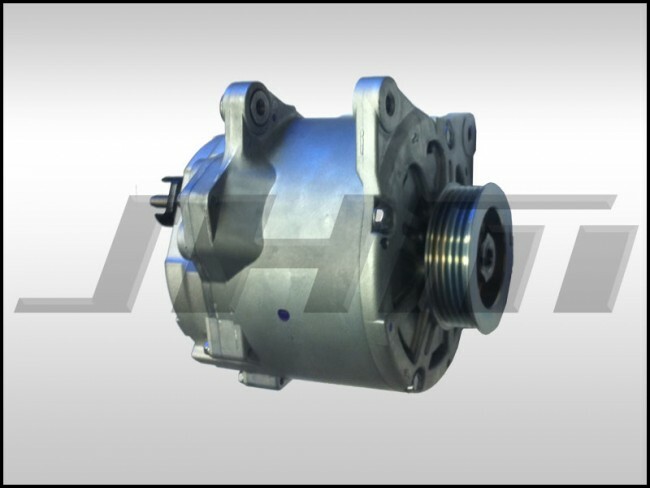 If your OEM pulley does not work with the updated Hitachi, you will need to either purchase a new alternator pulley, or convert to our JHM 6-Rib Kit. NOTE: If the alternator harness connector does fit, you will need to remove the connector key from inside of the connector on the harness to be able to plug it into the alternator. If you are having troubles with this, please contact us and we can walk you through it.